What do you think I did over the weekend? You know I love food! Especially food festivals, so I can't pass up on sharing this one. The Mad. Sq. 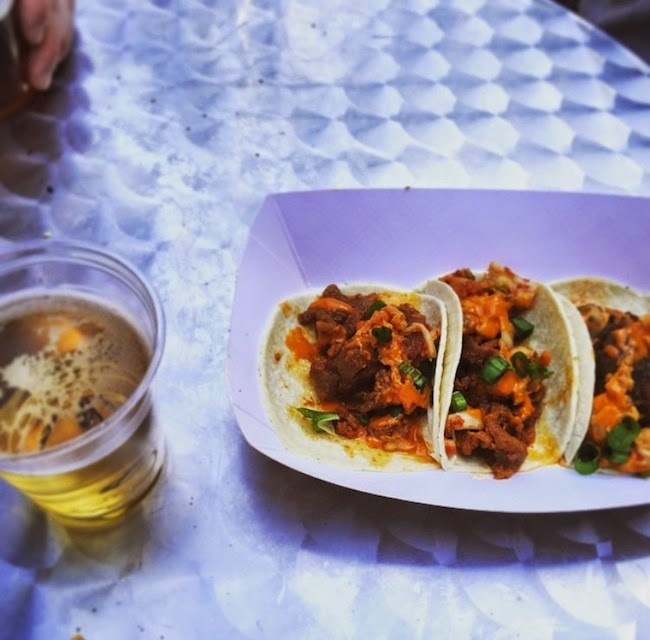 Eats festival is wrapping up this Thursday, May 28. Just realized that I totally forgot to mention it to you. My bad! But they do it twice a year for the whole month. So if you don't have a chance to catch it in the next few days, then no worries they will be back in Fall 2015, September 4th to October 1st, so mark your calendar. Or I'll mark my calendar to remind you! This is the list of participating vendors. Over the years it's pretty much been the same usual line up. No need to switch what works - they all bring something yummy to the table! 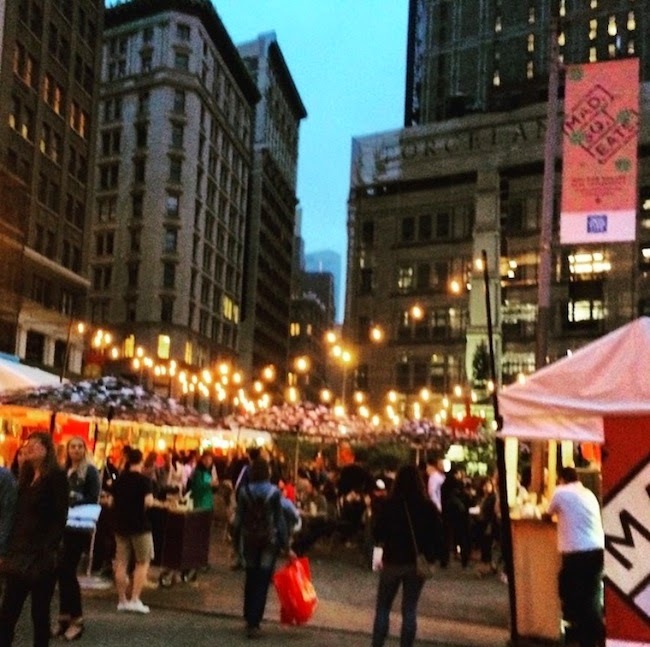 If you can't wait for Fall or are visiting NYC this summer and need to get your fix, then you can also visit the individual vendors restaurants or food trucks. Being that I'm always in that area, because it is conveniently located across the dog park I am always lured into trying something from the festival. Yup I know I am fueling obesity! I blame Eddy for always dragging me that way! HA. 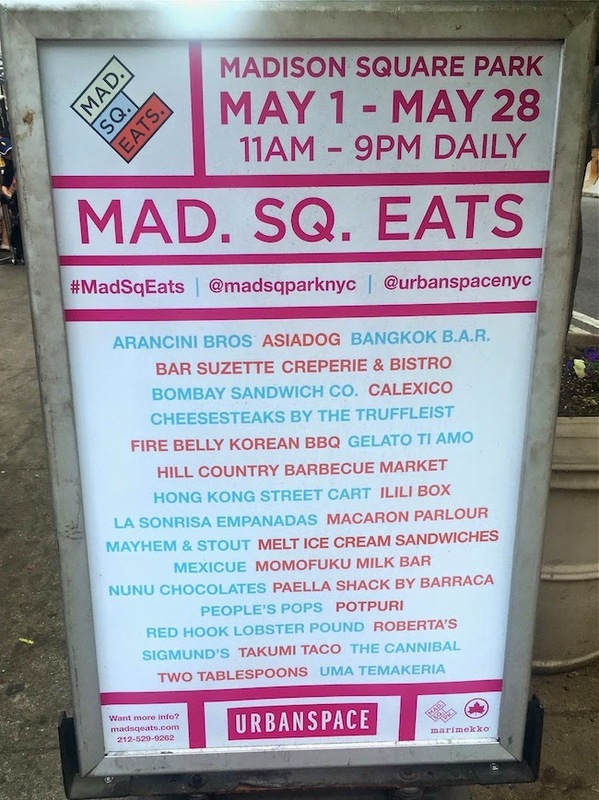 The good news is that since I've been many times in the last month, I've tried one too many dishes and can recommend what's good from a bunch of the stalls. Here we go…take notes so you don't waste calories on junk! 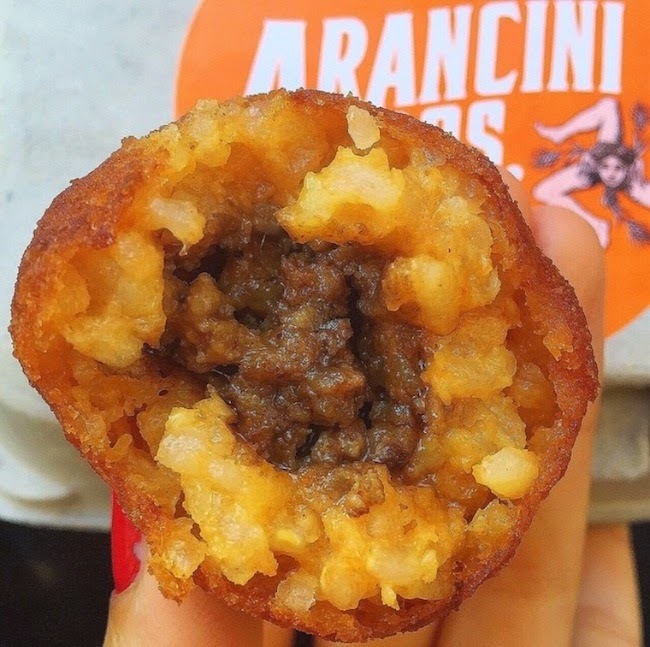 ARANCINI BROS: Talk about amaze balls, these risotto balls are addictive. 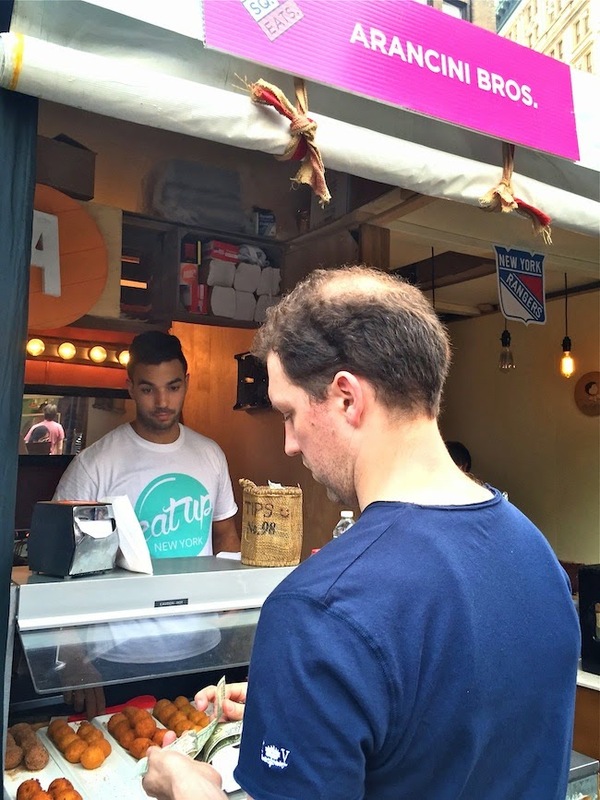 They have over 60 flavors, and they switch it up daily. But if it's your lucky day get the bacon cheddar cheeseburger ball, the philly cheese steak ball or the bucatini fritti mac and cheese ball if available. Those are the winners! 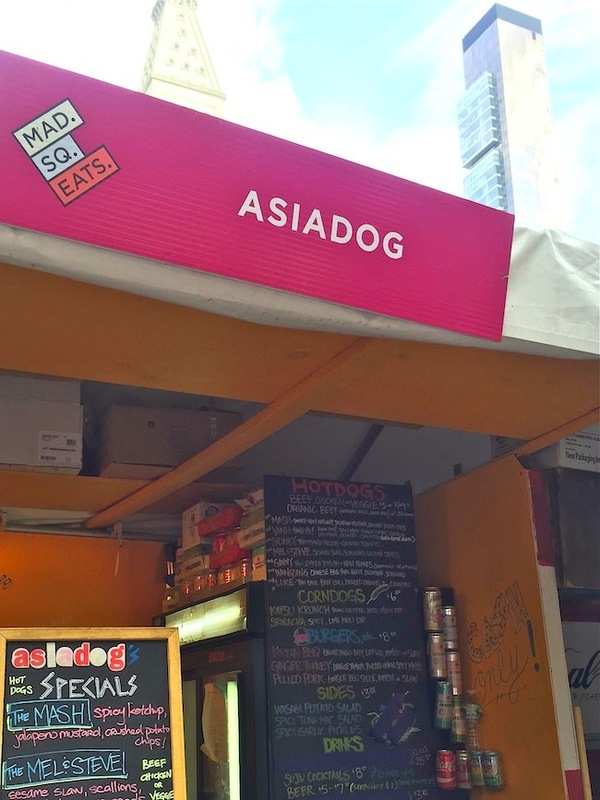 ASIADOG: Not your regular ball park hot dog. 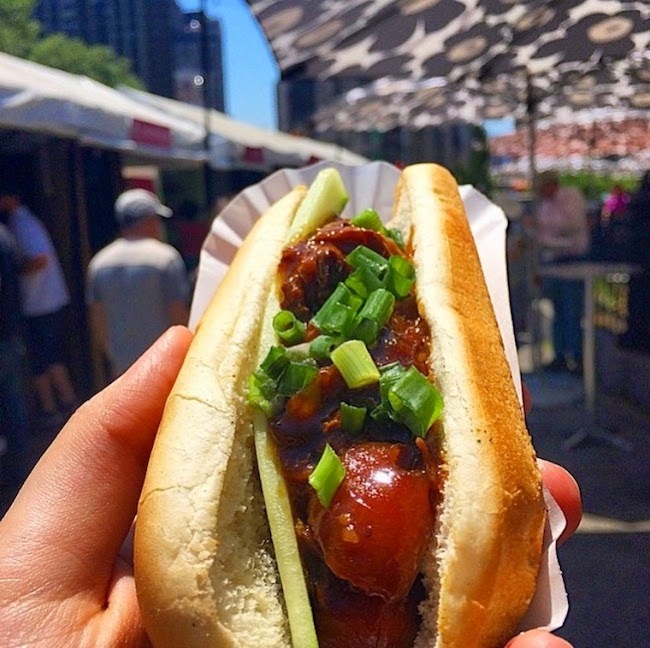 How about a chicken dog with bbq pork belly, cucumber and scallions? Nom nom. 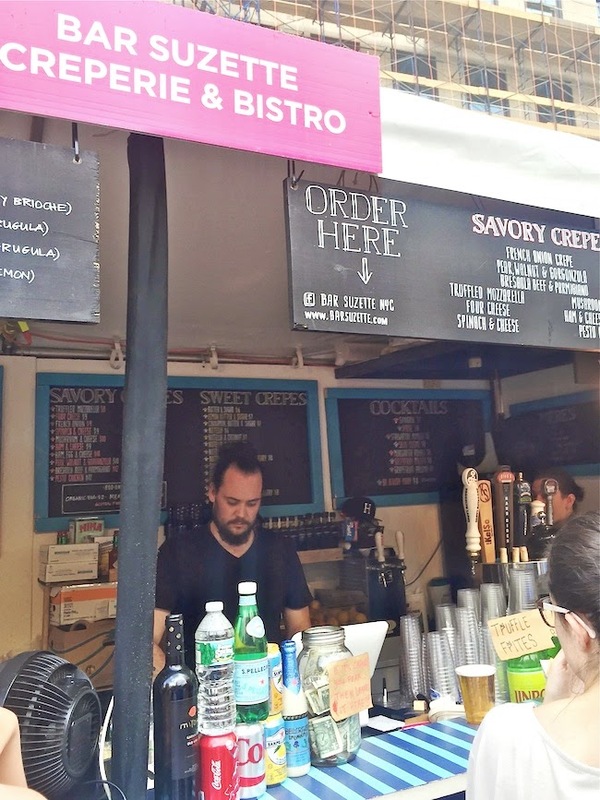 BAR SUZETTE: They're know for their crepes obviously. 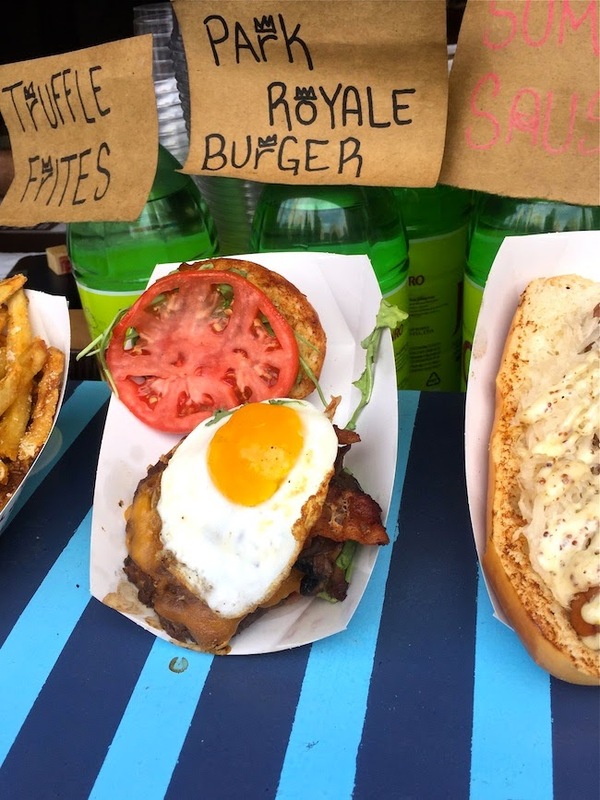 But their Park Royale Burger is hmmm so good with a fried egg, bacon, mushroom, cheddar and caramelized onions. 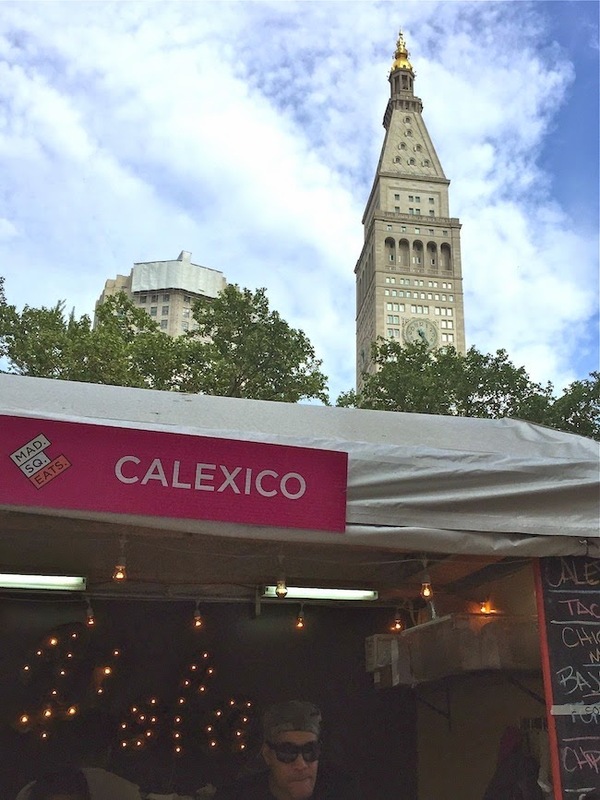 CALEXICO: Chicken mole with pickled red onions and the Baja fish tacos are always my automatic go to. 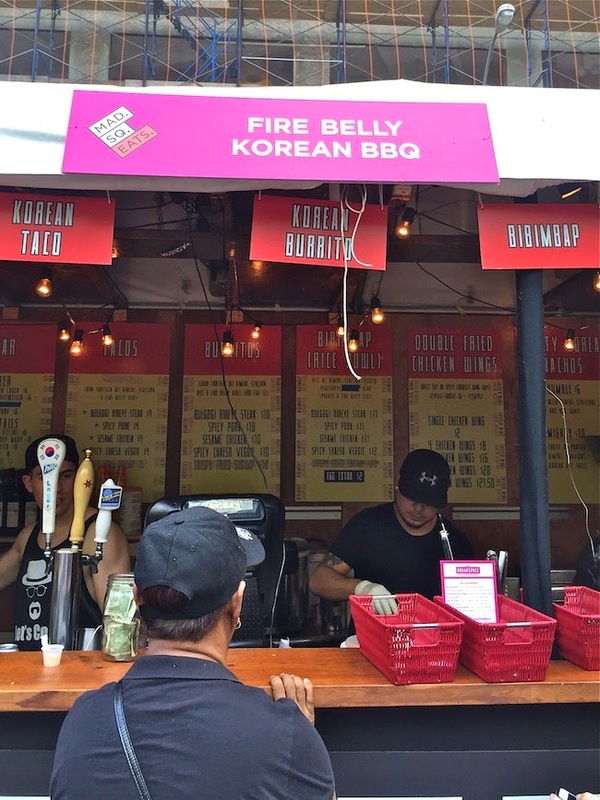 FIRE BELLY KOREAN BBQ: Big fan of their bulgogi steak tacos tossed with kim chi, and their spicy chicken wings. Be prepared to feel a good kick. Power through the burn! 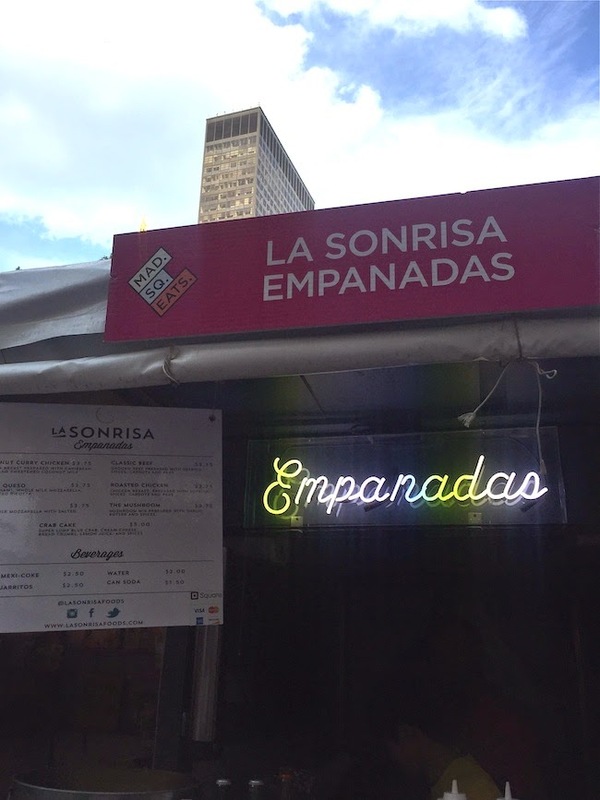 LA SONRISA EMPANADAS: You can't go wrong with the traditional beef or chicken. 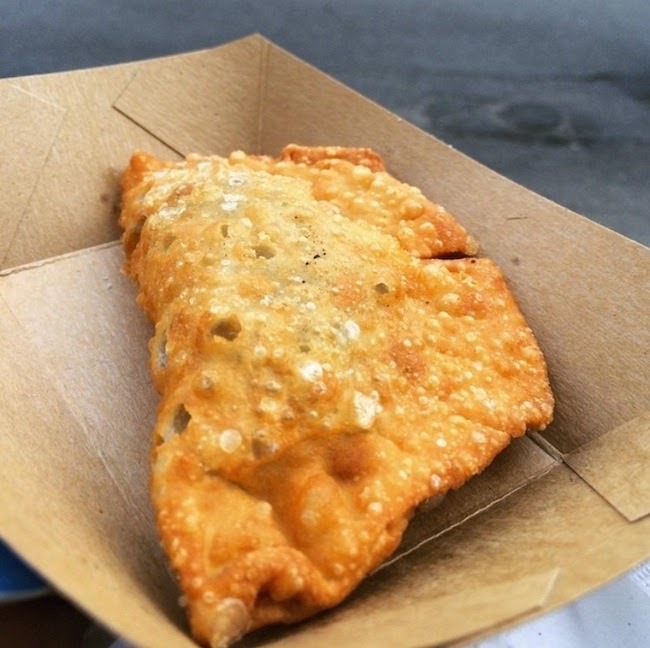 But for something different try the coconut curry chicken, and the crab cake empanadas. Fried to golden perfection. 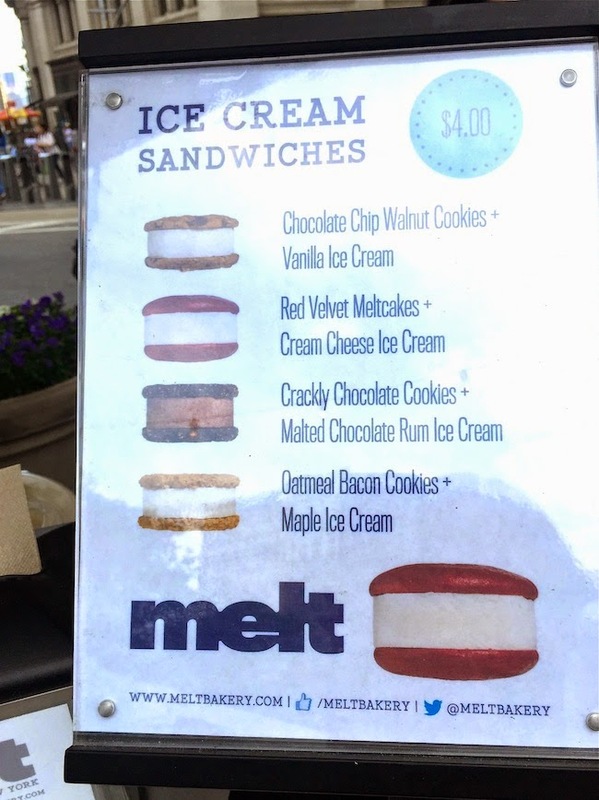 MELT: The oatmeal bacon cookies and maple ice cream sandwich is my fave. Actual chunks of bacon in there! 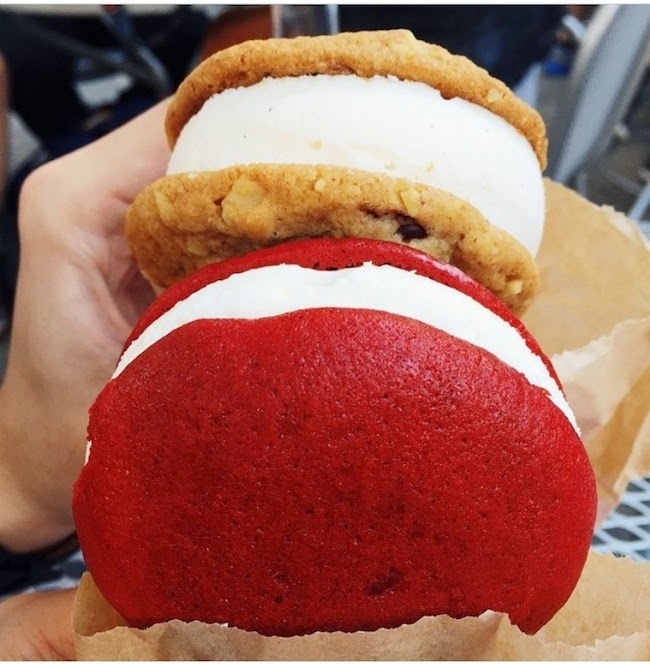 The red velvet ice cream sandwich was 2nd fave. 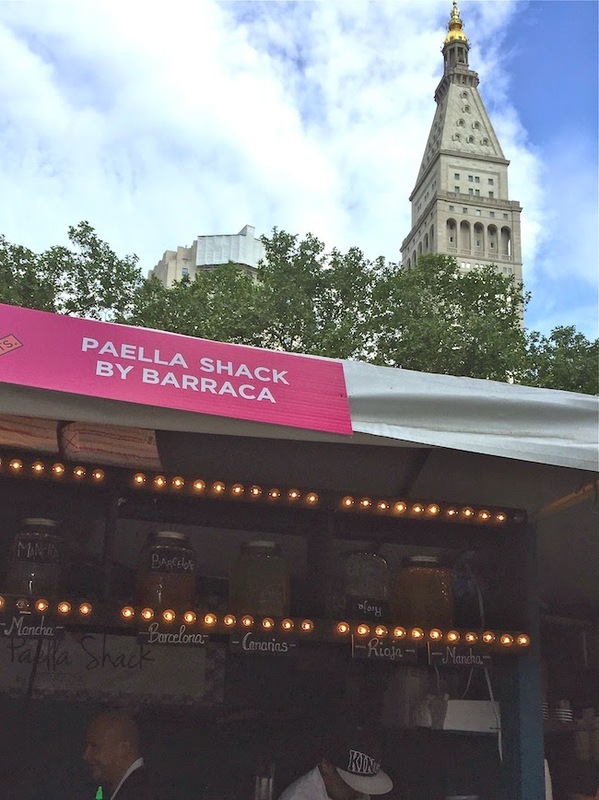 PAELLA SHACK: A meal on its own. 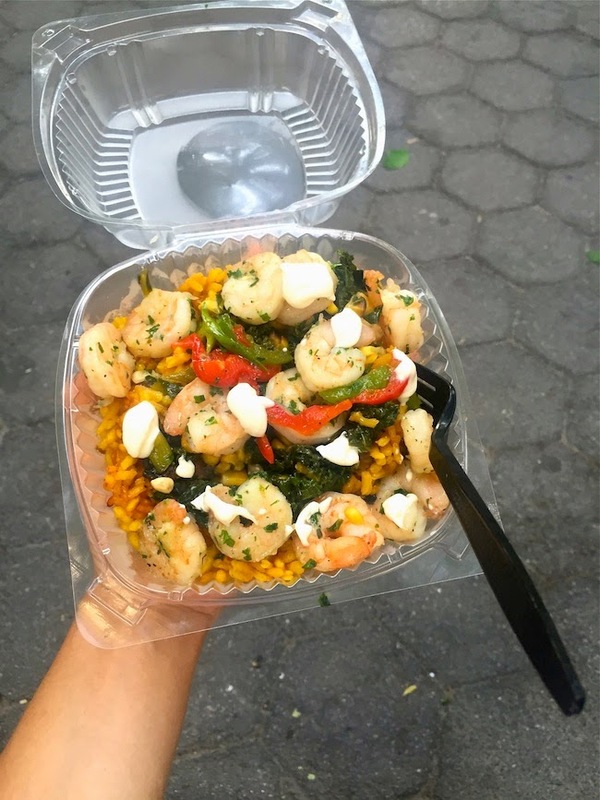 Try the shrimp paella. The shrimp is super fresh. 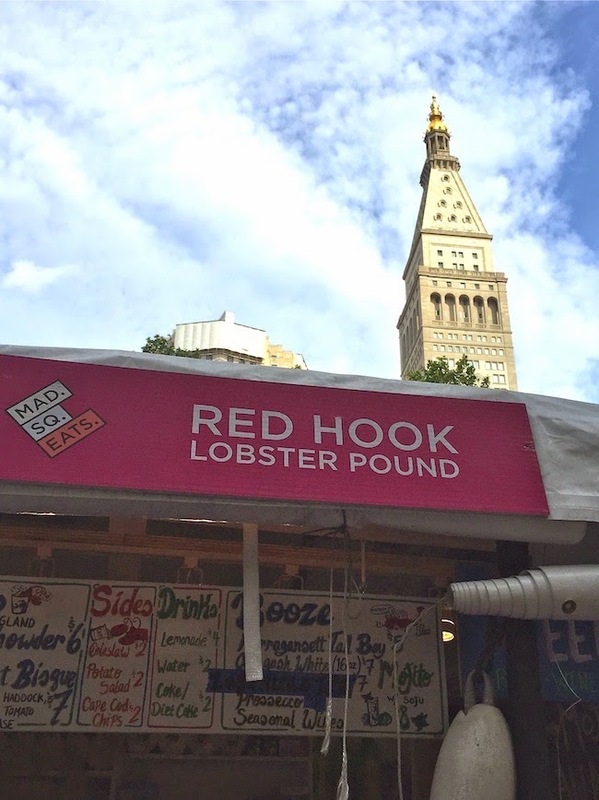 RED HOOK LOBSTER: Duh! 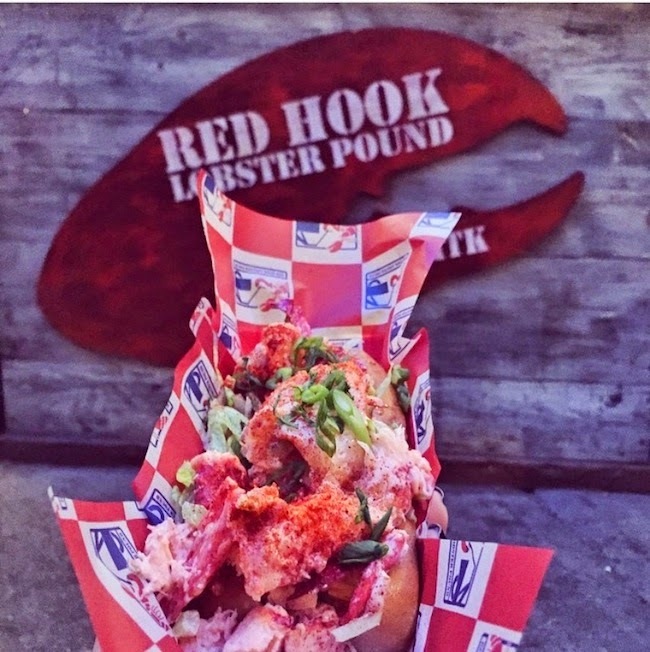 Obviously a lobster roll is a MUST. Dive in guys. Bring friends and family. 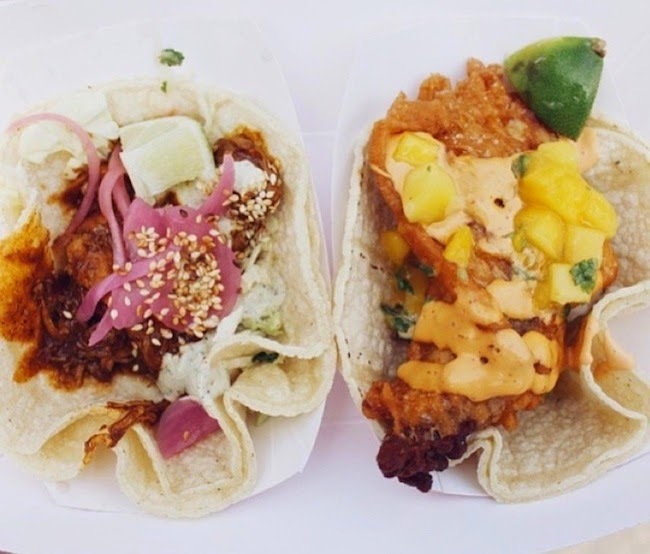 The more the merrier, and then the more food you can try! Let me know if you discover any other secrets that are YUM. There's always a next time for me!